As you know, recently, Apple released an update for the operating system, an update that refers particularly to the iPhone 4S and it needs. The new iOS 6.1.1 was created in order to fix all connectivity and cellular issues that the iPhone 4S users experienced in the past when updating their devices to iOS 6.1. 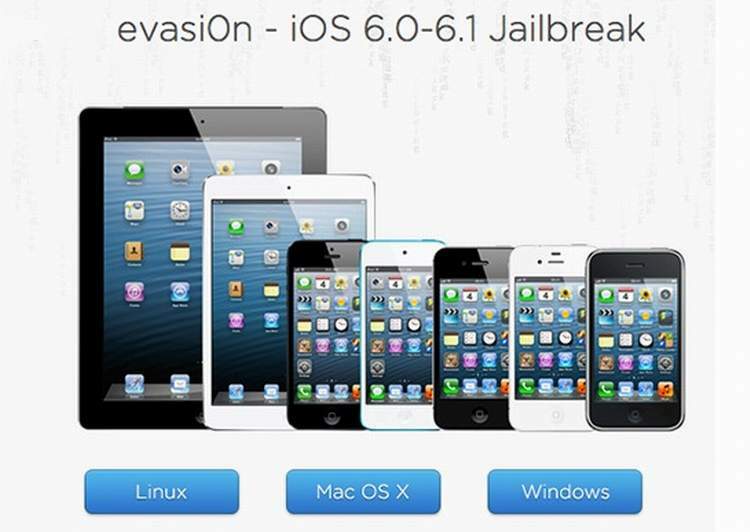 The good news that comes along with the release of the iOS 6.1.1 is the fact that the Evad3rs team already gives us the opportunity to download Evasion 1.3 for untethered jailbreak on iOS 6.1.1 iPhone 4S. So, if you are an iPhone 4S owner and you experienced a couple of problems with your device in what concern the connectivity aspect or the cellular data issue, then, you definitely should start upgrading your device to iOS 6.1.1. Moreover, now, when you have available the new Evasion 1.3 version, which allows you to perform untethered jailbreak on your brand new iOS 6.1.1 upgraded device. Users took into consideration the possibility that this new firmware will break the existent jailbreak. In fact, Apple developers had nothing to do with it. The iOS 6.1.1 was meant only to fix all those connectivity bugs and 3G errors, not to overwrite the jailbreak availability of your device. Another thing that I want to mention you is the fact that Evasion 1.3 does not bring us any bug fixes or notable changes. Actually, it does not offer us anything new. It is suitable only for performing untethered jailbreak for iOS 6.1.1, precisely for iPhone 4S only. If you do not encounter in any of these two situations, then you have nothing to do with Evasion 1.3. However, if you do not see any problems with your current iOS 6.1 device after jailbreaking, then there is no reason for you to upgrade to iOS 6.1.1 and use Evasion 1.3 to start jailbreak once again. On the other hand, if you noticed all those already-mentioned problems, then you should definitely upgrade your device and download Evasion 1.3 untethered jailbreak for your iPhone 4S running on iOS 6.1.1. Before doing all these things, you should take into consideration a quick backup for your device in case something wrong happens. Direct links for Evasion 1.3. 0 Respones to "Download Evasion 1.3 Untethered Jailbreak for iOS 6.1.1 on iPhone 4S"